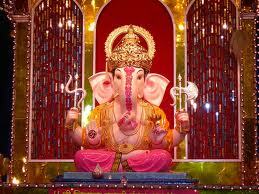 Ganesh Chaturthi is a widely celebrated festival in India. This festival marks the birthday of Lord Ganesha. 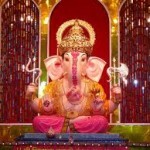 People install and pray idols of lord Ganesha on this occasion. Ganesh Chaturthi is dedicated to Lord Ganesha. Ganesh Chaturthi Celebrated on Bhadrapada Shukla Chaturthi. In 2037, This festival falls on Saturday, September 12th. There is a story which states that Moon should not be seen on Ganesh Chaturthi which is explained in the Ganesh Chaturthi Vrat Katha. Reading of Ganesh Chaturthi Vrat Katha after worshipping Lord Ganesha is a mandate on Ganesh Chaturthi.